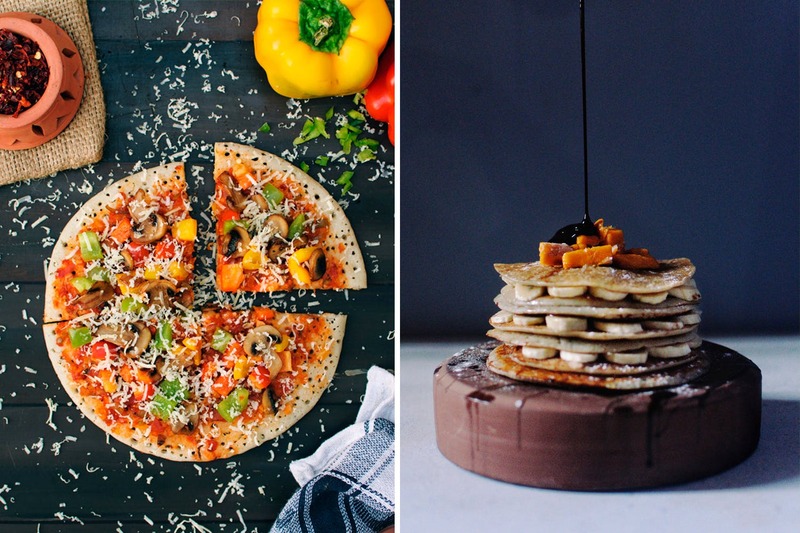 Dosa Tacos Or Dosa Pancakes: Which Quirky Dish Are You In The Mood For? What do you get when you decide to mix the best of two of our favourite cuisines? A menu that’s unique and mouth-watering, for sure. Conceptualised by restaurateurs Abhishek Dahbolkar and Pradeep Singh, the new restaurant – Paaji Balaji, giving a twist to the classic north & south Indian cuisine, has taken a fresh take on dosas from the south and tadka from the north. To make it as authentic as possible, the restaurant serves all your meals on earthenware dishes and glasses, along with fresh banana leaves. Trust us, you just can’t get enough when it’s so real. This is going to boggle your mind for sure – with them combining the best of north and south, you can enjoy a vegetarian or even a non-vegetarian dosa thali. Yeah, you heard that right. Each thali includes a north Indian vegetable, sambhar, rasam, paneer makhani, dal makhani, butter chicken and tawa methi chicken, to name a few dishes. Apart from this unique dosa thali, you can also get dosa wraps, dosa pizza and dosa tacos. To end it on a sweet note, you can pick from a variety of dosa pancakes. Apart from the classic Madras filter coffee, they have something special on the menu – the blueberry lassi. We’ve heard that it’s one of their highlights, so don’t give it a miss. Apart from this, they also serve masala chaas and sweet lassi, so you really have the best of both worlds. It certainly is the combination we’ve been waiting for! I mean, we love dosas and we love north India’s tadkas, so why not? Anyhoo, we’re totally up to give this a shot, so see you there!